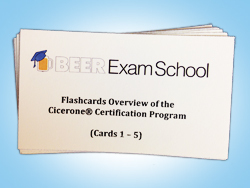 Beer Exam School is the place to be if you want to pass the Cicerone® Certification Program, Certified Beer Server exam. Whether you are taking the exam for professional or personal purposes, even if you aren’t taking the Certified Beer Server exam, if you just love craft beer and want to learn more about this wonderful thing called beer, Beer Exam School is right for you. Many beer professionals take the exam as a requirement for employment or to enhance their resume. Many craft beer fans take the exam to learn more about beer or for bragging rights. This website is a study guide for the Certified Beer Server exam. This course is not affiliated with or endorsed by the Cicerone® Certification Program. It has all of my study notes and flashcards that I used to pass the Certified Beer Server Exam the first time. Check out the the outline on another page for a table of contents to all of my study notes. Beer Exam School has everything you need to pass the Certified Beer Server exam! Why pay for a study guide that will cost you hundreds of dollars? Why buy the books and gather all of the recommended reading materials yourself? You can just read my study notes for FREE! I’m already going through the trouble, I don’t mind sharing what I learn. The Resources page has links to useful things to help you study for the exam, resources I use for making this site, and other helpful things. The page titled, About Certified Beer Server, explains the certification itself and this study guide. It also has a table of contents for all of my study notes for the exam. This is where you can learn how to register at Cicerone.org, see how to sign up for the exam, and find all the information you need to pass the exam! If you’re looking just for the study lessons, you can go to one of the 5 categories, which align with the different chapter of the syllabus (buttons above, or in the widgets sidebar). Bookmark the Blog page to catch every post on this website. That page has every post, including my study lessons for the exam and other announcements for the overall site. If you’re studying along with me toward the Certified Beer Server exam, you’ll also want to subscribe via email, or click here for the RSS feed. 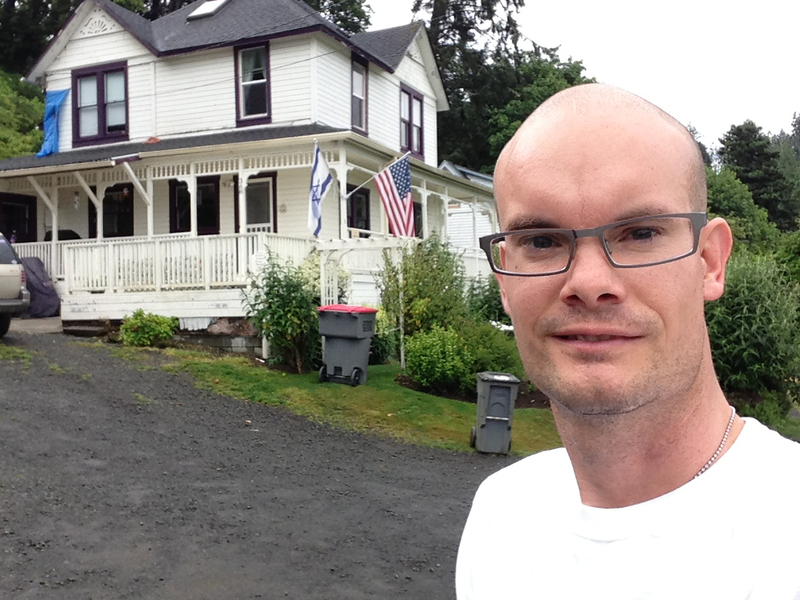 Nathan Pierce at Goonies House, Astoria, Oregon, on June 27, 2013. Hi, I’m Nathan Pierce. I love craft beer, I host MicroBrewr Podcast, and I passed the Certified Beer Server exam. I quit my job, a great job doing something I cared about. I worked there for 7 years, and it was time to move on. The craft beer industry is such a great place. The people are so open and helpful. It’s a really creative space. My dream is to, one day, start a brewery (pivot to cidery) here on California’s Central Coast. To learn more about beer and to enhance my resume, I took and passed the exam for Certified Beer Server. Honestly, I had been planning to take this exam for months. So I created this site to hold myself accountable, organize my studies, and help others pass the Certified Beer Server exam. Study along with me. Follow the exact notes and flashcards that I used to pass the exam the first time! Why are you taking Certified Beer Server exam? I’d love to hear from you! I really encourage you to comment below the study lessons or the blog posts. That’s the easiest way to keep the conversation going. If you ask a question about any of the materials, I can answer it there and others will be able to see the answer or contribute to the discussion. If you want to reach out to me on a different topic, feel free to send me an email directly from the Contact page. I’m doing this to help you. I enjoy craft beer and the community that surrounds it. Although I have no connection with, and this site is not endorsed by, the Cicerone® Certification Program, I feel that the program is improving the craft beer community and improving the craft beer experience by raising awareness and education about craft beer. Thank you so much for your support. If you find this website helpful, please sign up for the email list. Click the button to download now. I'm Nathan Pierce. I drink beer and I'm planning to start a brewery. I also host a podcast about how to start a brewery. So I’m studying for Cicerone® Certification Program, Certified Beer Server exam. ©2019 Beer Exam School. Powered by the Get Noticed! Theme.